Abilene, Kansas held a few unexpected surprises for us. 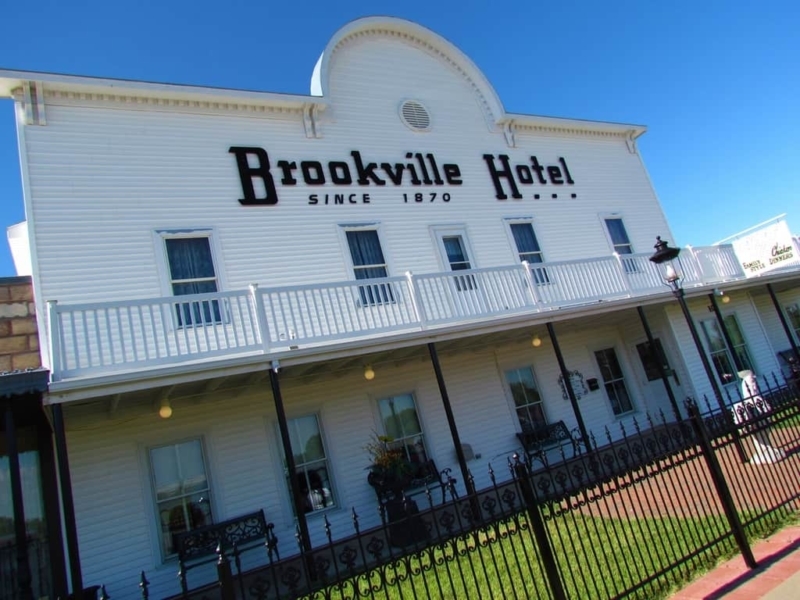 Some of you may have heard of the Brookville Hotel, which originated in Brookville, Kansas in the late 1800’s. In those days, cowboys were driving Texas longhorns north up the Chisholm Trail. The town of Brookville sprang up along the route, and quickly grew in population with the aspiration of attracting a railroad center. When Union Pacific settled on nearby Junction City, it was a crippling blow for the town of Brookville. Even though the population dwindled, the Brookville Hotel continued with business as usual. At the end of the century, the Magnuson’s purchased the hotel and would set it on a path to foodie fame. We want to thank the Brookville Hotel and Abilene Visitors Bureau for their hospitality. Rest assured all opinions are our own. Mae Magnuson was a renowned cook and her food drew customers from all around. Her daughter, Helen, came up with the idea of serving “family style” dinners, which is still the hallmark of the Brookville Hotel today. The hotel/restaurant continued to flourish throughout World War II, as soldiers from nearby bases became frequent guests. Over the years additions were made and the hotel passed down the genealogical line of the family. These days it is owned and operated by the fourth generation, Mark and Connie Martin. During our visit we had the pleasure of meeting with Mark, as he gave us a tour and history of the business. As we passed through the dining rooms, we saw the wonderful original artworks that adorn the walls. In 2000, a decision was made to relocate the Brookville Hotel to Abilene, Kansas. The new location puts it within sight of travelers heading along Interstate 70. This move has allowed the restaurant to continue to flourish and draw a steady stream of customers traveling across the state. The original building would not survive the move, so a new replica was constructed. Adorned in western motif, the various dining rooms bring back the days of the Wild West. When you visit, be sure to take a peek into some of the other rooms to see the beautiful murals decorating the walls. Mark directed us through a couple of the dining rooms, which were filled with groups and families enjoying a relaxed dining experience. Everything from the lighting fixtures to the wall papers speaks of the olden days. It was almost like stepping back in time, and we half expected to see spur marks on the chair legs. We were seated at a table covered with a starched white tablecloth. Dinner choices are made very simple, because the Brookville Hotel offers one dining selection. Family style fried chicken dinners. This simplified menu allows them to focus on serving a meal that they have honed for years. Once it was time for our meal, Mark bid us farewell and returned to his other duties. Our server began loading our table with a variety of sides that seemed to just keep coming. Pennsylvania style Cole slaw (sweet & sour), creamed corn, cottage cheese, mashed potatoes with gravy, pickle slices, and a pair of biscuits soon adorned our table. She returned with a plate of their signature fried chicken, and then asked if we needed anything else. Really? Maybe a little help eating all of this food. She reminded us that after dinner there would be ice cream to help complete the meal. Clearly we were going to need to do a lot more walking after this visit. Not wanting to shirk from our duties as travel bloggers, we dove in and gave it our best. As we dined, we found ourselves striking up conversations with guests at nearby tables. We soon found that many were repeat customers who stop in the Brookville Hotel whenever they are passing by. We can certainly understand the draw of the place. After our substantial dinner, we thanked the staff for their hospitality. Before we left, we decided to check out the second floor, which is where guests of the hotel would have stayed. The period decorations would have made for a relaxing visit, and the smell of the food being prepared would have certainly been welcoming. We enjoyed taking this brief walk back through time to the days when cowboys pushed their herds across the dusty plains and looked forward to a hearty meal at the end of the trail. 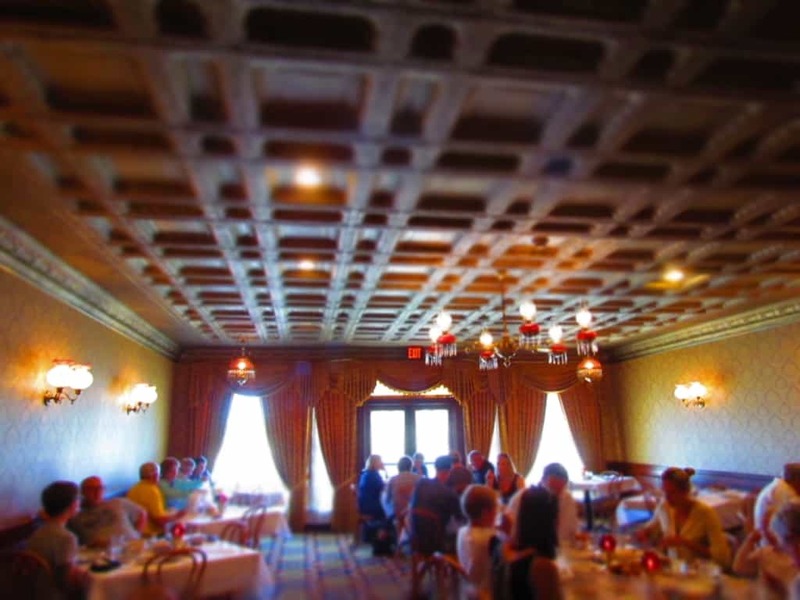 Have you ever dined at the original Brookville Hotel? Tell us about your experiences and how it compares to their new home. Show us some love and give us a share! I never have eaten there but will have to try it on my next Abilene visit. I really miss the Kirby House where my parents and I enjoyed many fine meals and wonderful service. Gone but not forgotten. God bless Abilene and Kansas! Never had an opportunity to sample the Kirby House, but we are making up for lost time now. We hope you enjoy it and travel safely! They have good food and yes, a lot of it. If you ever want to try more Kansas fried chicken, just head south on 69 Highway. Just before you get to Pittsburg, you will see the sign for Chicken Mary’s, the winner of the Travel Channel’s chicken war. When I was younger we would visit Mary’s or Annie’s depending on my grandmother’s choice of sides. They are both good places, so I was just happy to be going out. 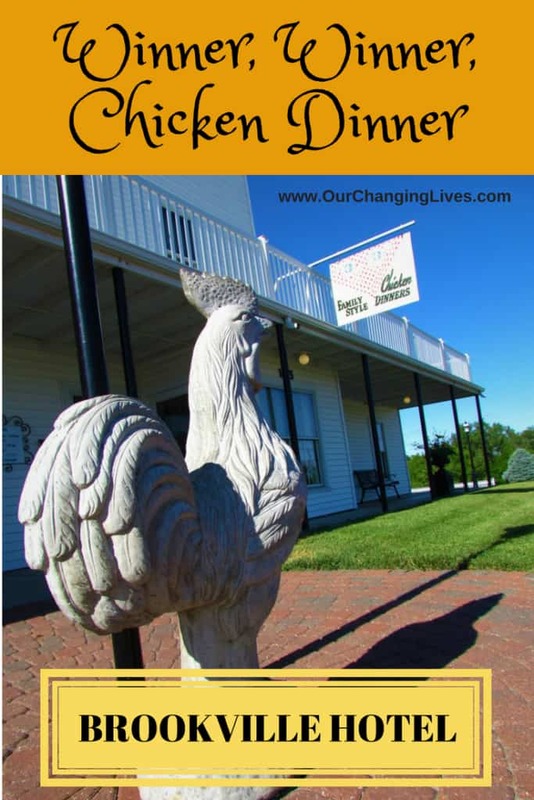 Kansas is renowned for chicken. You should go to Pittsburg and eat at Chicken Mary or Chicken Annie next to each other and featured by HGTV for a duel. I actually spent a lot of time at both in my younger days. Both have great chicken.